Match reviews are not my cup of tea really. I love a good rundown of proceedings, but with the way my mind works, I love to write reactionary pieces given the days events. Be it good or bad, there is something to be said about an article written by a fan who can encapsulate the voice of many on what transpired on the pitch for ninety minutes. In the case of today's proceedings, it's hard to find many who are in camp Happy Town. 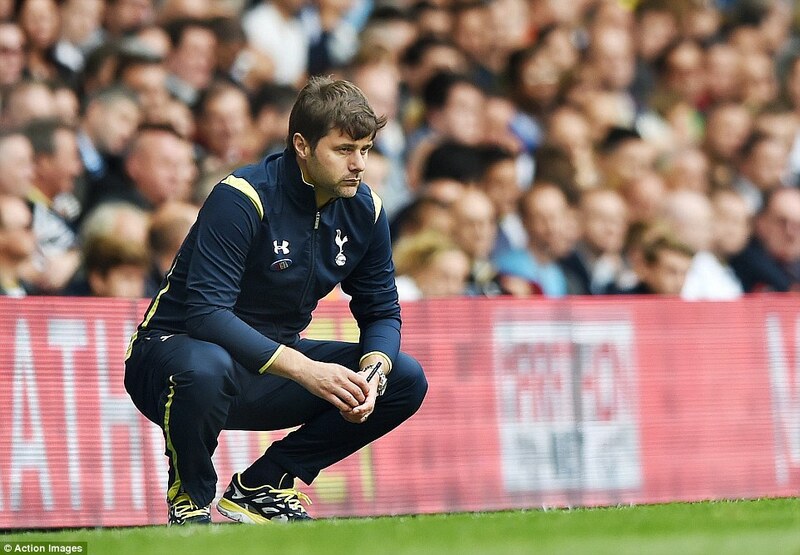 Surely, Arsenal's 1-1 draw with Tottenham will be felt by most as a massive let down and a big disappointment. Football, like all other sports really, has that funny way of convincing supporters that a history of results ultimately means that the upcoming fixture and it's result is somehow preordained. While so many Gooners love to rag on Spurs and our history of success over them, especially under Arsene Wenger, it's interesting to note all the gloating amongst the faithful despite the truth that we ourselves have not been playing incredibly well this season either. Yes, after today's result we are still undefeated, but that is not something we should boast about for more than .5 seconds. A performance against Palace on opening day saw us struggle, we probably should have lost against Everton, and we have dropped points against City and now against the Spuds. We've not been good, and it's not secret as to why. When news of the team sheet came through, the media had most believe that we would deploy in a 4-2-3-1, with Ramsey and Arteta in midfield and Wilshere, Ozil and Chamberlain deployed behind Welbeck. But anyone that looked at the player selection knew that a 4-1-4-1 was coming. Yes, that shambles of a formation and tactical deployment that has been at the root of all our other disappointing performances this season was back again. After the excellent performance at Villa Park last weekend where the boys put in a strong all round showing highlighted by Mesut Ozil, why would Wenger revert back to a cautious team selection when we are playing Spurs at the Emirates in the North London Derby? The answer is simple; too much of one and not enough of the other. In his post match thoughts, Wenger fully admitted that there was no justifiable reason that he did not start Sanchez today, but simply, that it was just the selection he made. Not only was Sanchez left on the bench, but Cazorla was as well - why? Because there is a sense that Le Prof is trying his hardest to force the Wilshere/Ramsey central partnership any chance he can. While it's clearly not some sort of love affair, the problem is that we have too many of one type of midfielder and not enough of the other. I perhaps can understand why Wenger would want to play a flat four midfield with Arteta just behind, but the problem is neither Ramsey nor Wilshere is made for it. Time and time again, there is ample proof to show that you need midfielders with steel, grit and the ability to fight tooth and nail to win control of the midfield in order to be successful in the Premier League - bless their hearts, but neither Wilshere nor Ramsey can call on any of those traits. Point being, is that Arsenal have too many creative players and not enough of the sort we have been missing since Gilberto Silva was at the club, and Patrick Vieira and Emmanuel Petit before him. Added to Rammer and Jack, we have Santi Cazorla (who prefers to play centrally), Tomas Rosicky, Mesut Ozil, Mikel Arteta (a creative player by trade and not defensive minded) and Abou Diaby - all players who prefer to get forward and be creative. Only Mathieu Flamini and Francis Coquelin can boast that they are the type of player we lack, and that really is not saying much. Given our overstocked central midfield, it's no shock that Wenger has tried to make a 4-1-4-1 work, but at what cost? In regards to today, yet again he shifted Ozil wide on the left, and given his insistence on trying to make this work, there was no room for Sanchez. It is rather ironic that once Sanchez was introduced, we were a far more dangerous side, but any which way you slice it, when your choices of team selection alienate your most creative player, finds your second best player on the bench, and asks your third best player to play a role where he is not suited, there is a serious problem in that way of thinking. What frustrated so many come full time, was just how negative we were on the day. Not only were we too cautious in our tactics, but for large spells of the game we were only interested in keeping possession rather than really creating a ton of quality chances. Such play and underperforming can trace its origins back to the notion of that we have too many creative players always looking to slow things down. Remember when players like G.Silva, Petit and Vieira used to win the ball, drive forward and then play a ball that saw us break? Yes, I remember those days too, and it was when we had a far better balance in the squad than we do now. Truthfully, I can understand the notion of wanting to maximize what you have in excess, but that does not necessarily make it wise. Against Spurs, at home, in the North London Derby, you cannot go out and be anything other than positive and forward thinking in your tactics and deployment to make sure that you can get the result. 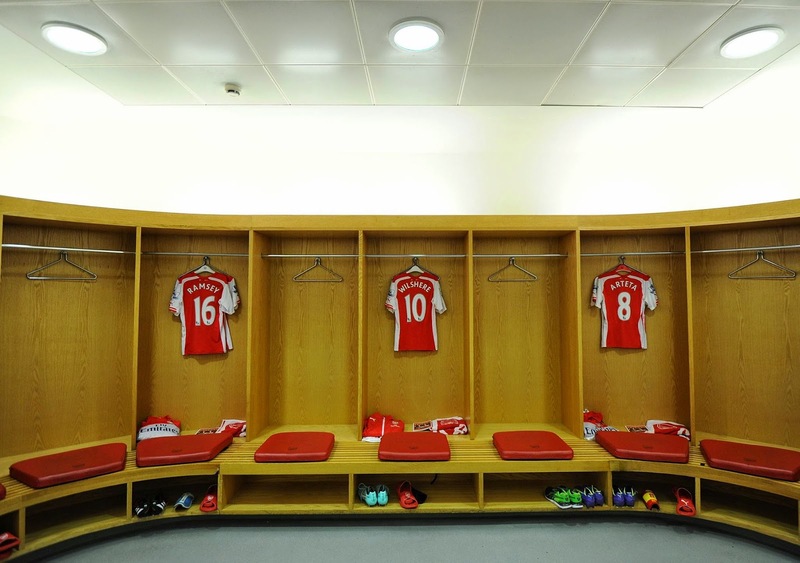 If Cazorla and Sanchez could come off the bench today, then they should have started. It's frustrating that we reverted back to a system that is sub-standard after we were so good last weekend, and this sentiment is echoed by many. What is even more frustrating, is that not only do we have Galatasaray in midweek, but more importantly, we have Chelsea at the Bridge next weekend - with that knowledge in hand, this was a match Wenger HAD to go out and make sure that maximum points were achieved. As of now, it's hard to see how we can take any points off Chelsea at their ground given the type of scintillating football they are playing at the moment. It's tough being a football supporter sometimes. Truly, you always want your boys to go out, give their very best, and end up taking maximum points as often as possible. The NLD is certainly no different in this matter, and it's a match that so many were looking forward to, but now have to settle once again for what could have and should have been. You can never have too many points in a season, but unfortunately, you can when it comes to a certain type of player, and in the case of Arsenal right now, it's the reason why we're settling for saying we are undefeated rather than boasting about something greater. The League Cup has provided a lot of upsets in the past. recent memory, so let's all remember to laugh at United now. Astute readers (read: probably nobody) will recall that I started my third round League Cup preview with that exact line last year. Now that Arsenal have broken the trophy drought with last year's FA Cup victory, Arsene Wenger will likely return to using the League Cup as a surefire chance at rotating the squad, this week especially, as the North London derby lurks around the corner. Arsenal have a lot of depth up front that needs to be rotated, as I'll discuss a bit below. The bigger concern is, of course, on the back line, as Arsenal will have to use youngsters to give their starters a rest. Southampton, on the other hand, come into this game on a four match winning streak across all competitions; they have no reason to take this match lightly, so it could be a tight encounter at the Emirates tonight. be handed a start, if Wenger is cautious with his back line. The news continues to get worse at the back. Mathieu Debuchy did indeed need surgery on his ankle injury and is expected to miss three months. Nacho Monreal also remains out with a back injury and he is not expected to be available again until after the October international break. This leaves Arsenal with exactly four fit first-team defenders: Kieran Gibbs, Per Mertesacker, Laurent Koscielny, and Calum Chambers. Without any cover at the position, it's scary to imagine any of them being risked in a League Cup tie. Arsenal will field a very youthful back four that is basically guaranteed to feature Hector Bellerin, Isaac Hayden, and Semi Ajayi. None of those three players are left backs, however, which begs the serious question of who the fourth defender will be. Perhaps Arsene Wenger will play Francis Coquelin at fullback; he's done it before. In the attack, I would expect a start from a few of the players who have been hurting for playing time this year: Tomas Rosicky, Lukas Podolski, and Joel Campbell, specifically. It's likely we'll even see Abou Diaby! Predicted XI: Ospina, Bellerin, Hayden, Ajayi, Coquelin, Flamini, Diaby, Rosicky, Podolski, Campbell, Akpom. Jay Rodriguez has been out since April after injuring his knee. Southampton will be without James Ward-Prowse and Maya Yoshida, both of whom were subbed out of their match at the weekend with ankle injuries. Toby Alderweireld is back in training after a hamstring strain, but is not likely to feature in this match. Long-term knee injuries continue to keep Sam Gallagher and Jay Rodriguez out of the lineup. The Saints are expected to hand a first start to Sadio Mané, signed on deadline day from Red Bull Salzburg; the Senagalese midfielder's work permit was just sorted out last week and he joined the club for training on Friday. Judging by the lineup Southampton fielded at Millwall in the second round, I would expect a strong XI; Arsenal's makeshift back four will have to be wary. Through their European qualifier matches and the Community Shield, Arsenal have played nine matches already this season to Southampton's six. Both clubs have lost only one of their games; while Arsenal had their unbeaten run to start the season snapped in Dortmund last week, the Saints have not tasted defeat since their opening weekend loss at Anfield. 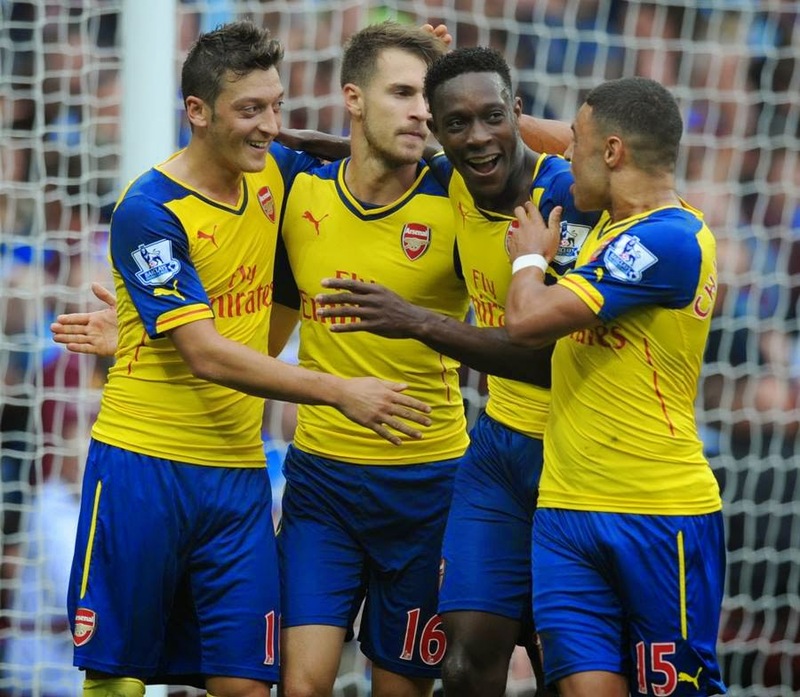 Arsenal recovered nicely from their 2-0 humbling in Germany with Saturday's 3-0 win over Aston Villa. They'll be happy to return home for a string of big matches (they have the North London derby at the weekend and Galatasaray at home in Europe next week;) Arsenal have not lost at the Emirates since Bayern Munich's win in February. After losing to Liverpool on the opening Sunday, Southampton further dropped points at home a week later to West Bromwich Albion. They've rattled off four straight wins across all competitions since then, beating Millwall in the second round of this competition, then defeating West Ham, Newcastle, and Swansea in the league. With three wins, a draw, and a +6 goal difference, the Saints sit second in the table. Form, however, does go out the window a little bit when talking about the League Cup considering the expected amount of rotation in the sides. Arsenal took four of a possible six points from Southampton last year. At the Emirates in November, Arsenal took a 1-0 lead when Olivier Giroud pounced on a ball control error from Saints goalkeeper Artur Boruc. Giroud later added a second from the penalty spot to give Arsenal a 2-0 win. At St. Mary's in late January, Arsenal trailed 1-0 at halftime before scoring twice in four minutes to take a 2-1 lead. Their lead, however, lasted all of two minutes, as Adam Lallana equalized. Those two dropped points proved to be the beginning of the end for Arsenal's run at the top of the table; the Gunners went on to win just three of their next 10 league games before closing out the year winning their final five. Arsenal have met Southampton four times in the League Cup and have won all four ties. The sides met in the 1969 second round in Southampton, ending in a 1-1 draw; Arsenal won the replay at home 2-0 after extra time. The sides met in the third round in 1977 and in 1979, with Arsenal winning both at home. In the 1985 fourth round, the sides met at Highbury; it ended 0-0. Arsenal, as they did in 1969, won the replay, this by a 3-1 scoreline in Southampton. All of Southampton's wins over Arsenal have come in league play; in addition to Arsenal's four of four record against the Saints in League Cup ties, the Gunners also have three wins from three FA Cup ties. 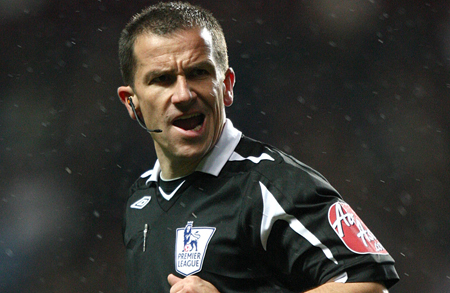 The referee is Hampshire-based Keith Stroud. Stroud has been a Select Group referee before, starting in 2007/08 before eventually being demoted in the summer of 2009. Stroud has worked only one Arsenal match in his career, a 1-0 win for the Gunners at Sunderland on the final day of the season in May of 2008. Theo Walcott had Arsenal's goal, while Stroud denied Sunderland a penalty, as Michael Chopra tangled with Alex Song in the box. You don't have to go back quite as far to find the only time Stroud worked a Southampton match; it was in May of 2009, when the Saints lost 3-1 at Nottingham Forest. The Saints led 1-0 through Bradley Wright-Phillips before Forest scored three in the last quarter of an hour. That match was Stroud's final game before demotion from the Select Group. 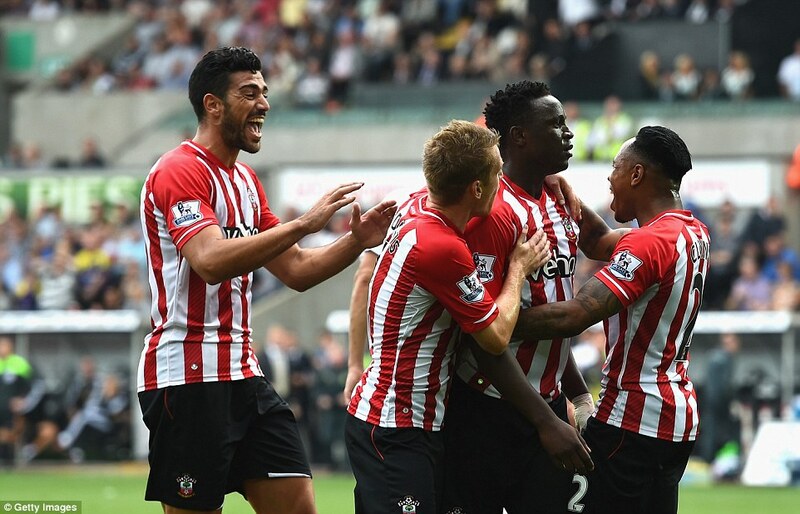 It was also Southampton's last game in the Championship, as the Saints were relegated to League One. Stroud has been working some of the bigger matches in the Championship over the past few seasons and earlier this year worked the East Anglian derby between Norwich City and Ipswich Town. At 45 years old, this is likely Stroud's last shot at regaining promotion to the top group of match officials. If there ever was a set of weekend results that made every Gooner the world over elated, it was the events that transpired over the last 48-hours. While it is still early days in the league after just five matches played, no one can argue against the bit of confidence that is starting to creep into the back of our heads, especially when we were the only side from last season's top seven to win at the weekend. Queens Park Rangers and Stoke City kicked the weekend off with the lunch-time special, playing to a 2-2 draw at Loftus Road. Despite their dominant play over the 90-minute period, Harry Redknapp's men have Niko Kranjcar's free-kick in the 88th minute to thank for the point they took away from the match. Despite their much improved starting XI, QPR still have set the benchmark on underperforming. Whether Redknapp is actually the problem, or if it's their inability to learn their lesson from two season's ago, you just have to wonder why QPR's ownership would rather take to comedy than trying to establish themselves as a modern footballing institution. Despite the supporter protest up north at St. James' Park, Alan Pardew lives to manage (or, well, not manage) another day in Geordie country, as Newcastle battled back from 2-0 down thanks to a brace from second-half substitute Papiss Demba Cisse; ironically, the Senegalese international is probably the only attacking player on the books at the club that was not bought this summer. While there is no telling how long Pardew has on Tyneside (surely, that famous little book he has on the touchline must contain all the dirt he has on owner Mike Ashley; it's the only way he can still have gainful employment), it does not bode well for his managerial prospects that the club sit at the bottom of the cellar despite all their transfer activity in the summer. Could there have ever been a more boring match on the fixture list than Burnley v Sunderland? Bless their hearts when it comes to their supporters, an Turf Moor always boasts a brilliant atmosphere, but surely no one will be shocked by the 0-0 scoreline after 90-minutes. It's tough to see how Burnley will avoid the drop this season, and as for Sunderland, there is unlikely to be much breathing room for them from the bottom three, if any at all. Sen Dyche and Gus Poyet may be standup gentlemen, but neither is capable enough of pulling off any feats of magic this season. The Ronald Koeman renaissance on the south coast continues to press on, as Southampton dispatched fellow upstart Swansea City 1-0 at the Liberty Stadium thanks to a second-half strike from substitute and disguised tank Victor Wanyama. Koeman will surely be happy with the points but not the scoreline, as Swans striker Wilfried Bony was given his marching orders for a second bookable offense after a two-footed tackle on Japanese international Maya Yoshida in the first-half. The Saints would go on to dominate the match, but if it wasn't for Wanyama's 80th minute goal, it would have surely been three points missed. But their performances this season have dispatched any notions of struggle in the wake of the summer player exodus, with the club currently sitting in second. They won't finish there, but talk of relegation has come to a swift end. As for our performance, despite our excellent record at Villa Park in recent years, this may have been the first time that many Arsenal supporters had one or two question marks coming into the match. Aston Villa sat second in the table before kick-off and we had just gotten embarrassed in Dortmund - enter Mesut Ozil, and a brilliant overall team performance. In just a three minute span, a goal and an assist each from Ozil and Danny Welbeck (the goal was his first in an Arsenal shirt) plus an Aly Cissokho own-goal sealed all the points in Birmingham. It was a performance of quality from the German-born Turk, his best for the club in quite sometime, where he was deployed in his favored number 10 role and given the freedom to roam and create. But more importantly than Ozil getting back on track, was that we responded after the disaster in midweek, showing mental strength in a situation where at times in the past we would have struggled. With Spurs and Chelsea up next in the league, Southampton this midweek in the Capital One Cup tomorrow and Galatasaray next week, this was a performance that was necessary if we are to negotiate a tough run of fixtures to come. As for the other five matches? Well, to say that each and every result would contribute to the collective grin that swept across the Gooner kingdom would be putting it mildly. Two goals inside the first eight minutes from Winston Reid and Diafra Sakho at Upton Park saw West Ham pull off a smash and grab 3-1 win over Liverpool. Whether it was a bit of a European hangover that Brendan Rodgers has never had to deal with before, or if the influence of Daniel Sturridge in the lineup is truly missed, Liverpool could not turn their possession into any points in the table come full-time. Raheem Sterling did score a brilliant half-volley from outside the box to make it 2-1 before thirty minutes were played out, but Sam Allardyce's troop held on and were rewarded by new signing Morgan Amalfitano in the 88th-minute. The result led to the same questions being asked by so many; did Liverpool spend wisely to replace Luis Suarez? While there are only a handful of footballers who could actually replace the Uruguayan Dracula, the Reds are currently doing their best Spurs impersonation, and thus far it looks like their massive recruitment program this summer may not have been the best option. When you spend over 150million pounds on summer acquisitions and your manager is Louis van Gaal, you'd imagine that Manchester United would be on the up and up again. The harsh reality for the Red Devils, is that they are now amidst a start to the season that was worse than under David Moyes last year after they lost to newly promoted Leicester City 5-3 at the King Power Stadium. To compound the situation further, United were 3-1 up with just 33-minutes let in the match. Four straight goals later (two of which came from the spot), and the Foxes completed one of the greatest comebacks in Premier League history, and arguably the greatest result in their history. 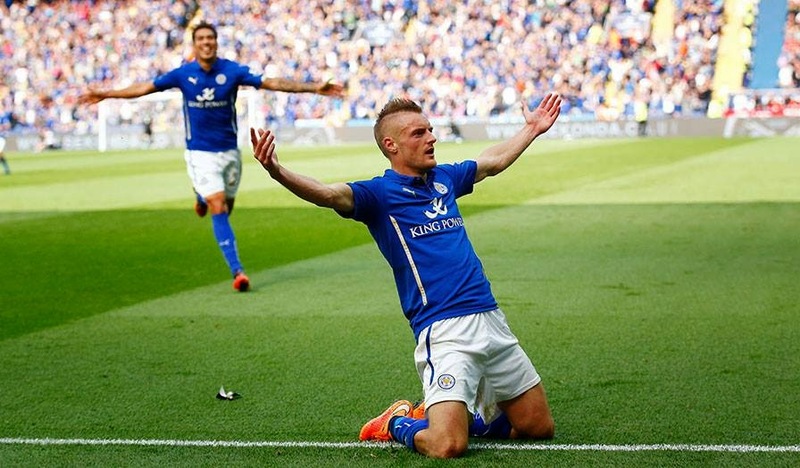 Jamie Vardy was the standout performer (despite Jose Ulloa bagging a brace), putting in a brilliant shift that was one of the most influential of the early days in the season. After their first five matches, it is hard to think that Leicester will be in the thick of the relegation battle, but as for United, it my all well come good for them overall but they'll have to remember two important things; 1. just because LvG made a goalkeeping change for a penalty shootout, it doesn't make him a tactical genius, and 2. apart from their thrashing of Spain, the Netherlands struggled in every other match during the World Cup this summer under his stewardship. West Bromwich would earn their first three-point haul of the season yesterday in a 1-0 win over Tottenham at White Hart Lane. New manager Mauricio Pochettino continues to head up "Operation Inconsistency" at a club who's recent exploits on the pitch are as hot and cold as Beyonce and Jay-Z. It was never going to be easy for the Argentine gaffer, but after being unable to put his personal stamp on the squad this summer, Pochettino was left with a side that he had no hand in acquiring. The loss was Spurs' second in three home matches thus far in the league, but the result lifted the Baggies out of the drop zone, though there is no telling if they'll be able to avoid slipping back down. 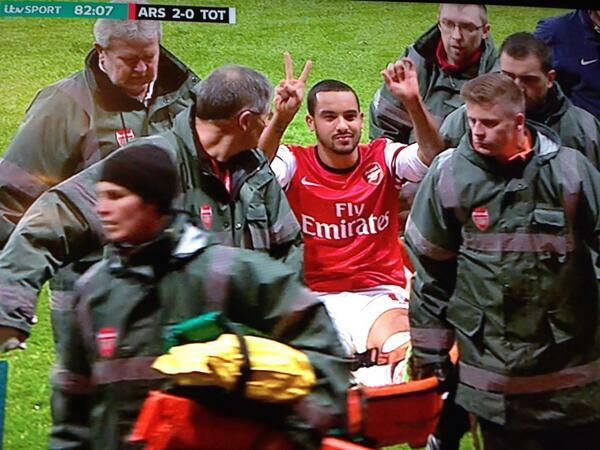 One thing is for sure, north London remains Red. After a hugely successful first season at Goodison Park last year, Roberto Martinez is currently suffering a sophomore slump at Everton. The Toffees 3-2 loss at home against Crystal Palace saw them surrender three straight via Mile Jedinak, Fraizer Campbell and Yannick Bolasie after Romelu Lukaku's eighth minute opener. A converted spot-kick from Leighton Baines in the 83rd-minute gave Everton a lifeline but they were unable to grab on with both hands. Everton are now winless in three matches in front of their home support, surrendering an astonishing 11 goals. While their away form has been solid, their home form must improve if they have any ambition of reaching the a similar high place as they did last campaign. The weekend would be closed out by a titanic clash between the leagues pre-season favorites Manchester City and Chelsea at the Etihad Stadium. While I personally wanted Chelsea to get a roasting, the 1-1 draw that was played keeps Chelsea honest, while City continue their annual slow start to the league. Andre Schurrle bagged the goal for the Blues, but it was former player and Chelsea legend Frank Lampard who leveled matters for the home side with just five minutes remaining - surely, no one could have written a more ironic storyline to a match. Despite being one of the two pre-season favorites, City have yet to truly look impressive this season, though the draw against Chelsea was the first time the Blues failed to secure the maximum point haul. Still and yet, with Diego Costa and Cesc Fabregas leading the charge, it's hard to look past Jose Mourinho's men in the title race. Thanks for stopping by and have a wonderful week - COYG!! Are any of us all that surprised about the events that took place at the Westfalenstadion on Tuesday night? I for one am not, and maybe that is part of the overall problem surrounding Arsenal Football Club these days. This will not be a piece reviewing the match, but more so my personal reactions, which I can only hope cause some discussions and debate to be generated amongst ourselves. To put the matter bluntly, we were not prepared to face Dortmund. Despite their list of injuries to first-team personnel being far longer than ours, we were still played off the park from the first minute. Apart from the odd chance or two (quite a few chances fell to Danny Welbeck actually, who has proven that he will not morph into the second coming of Thierry Henry, despite many hoping for such an occurrence), we had nothing on the night that ever caused Dortmund more than a slight moment of pause. Yes , we were awful, but what so many people are failing to mention in the aftermath, is that our performance on the night (and perhaps the result itself) was completely avoidable. 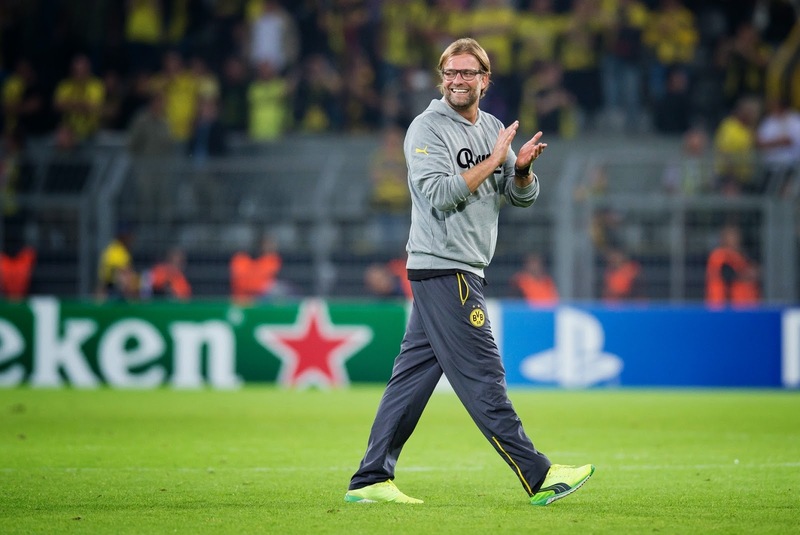 Have we not run into Dortmund time and time again in the last three or four seasons? And each time, was Jurgen Klopp not the man at the helm, deploying in similar if not exact fashion on each occasion? Yes he was without Marco Reus, Jakub Blaszczekowski, Ilkay Gundogan and a few other first-team regulars, but Dortmund were always going to deploy in the same fashion - I knew it, you knew it, Jurgen Klopp knew it, and worst of all, Wenger knew it, but did nothing about it. Hannibal Barca and his Carthaginian army slaughtered nearly 70,000 Romans at Cannae because he knew exactly how to defeat them on the battlefield each time he faced them - Roman pragmatism and tactical systems were too engrained in their commanders, none of whom were willing to change their ways and it resulted in disaster. Arsenal, yet again, were played off the park by equal or superior opposition, because everyone knows how to deploy against us and how to target the weaknesses in our tactics that are the same week in end and week out regardless of who the opposition is. They key to tactical success on the pitch is not always trying to fix your system, it's about finding out the best way to counter your enemy. Klopp was never going to deploy in any other way than he did on Tuesday, but he was confident in his own system because he knew we would not counter him, and in turn, the fate of the match was sealed before it began. While I do not want this piece to divulge into a rant about tactics, the nature of this piece is about gaining intelligence on your opponent, but more importantly, what you do with it once you have it. Again, think back to the fact that we have come up against Dortmund plenty in our recent Champions League future - would it not be sensible to think that, knowing how much pace they have, how direct they play, and how they often times target the center of the defense via diagonal runs from wider and deeper areas, why did we deploy the way we did? Why were our fullbacks instructed to not sit back and defend more rather than always maraud forward? Why did we play a high line with Per Mertesacker and Laurent Koscielny, even though every German knows just how exposed BFG is given his blatant lack of pace? A prime example of how Klopp addressed our weaknesses was not by changing the way Dortmund play (which obviously did not happen), it was by a simple change in formation. Dortmund usually play with a 4-2-3-1 or a 4-3-3, but on Tuesday, Klopp fielded a 4-3-1-2, and he did this for two reasons; First, to clog the midfield with Sven Bender (why we have not pushed harder to get him, I don't know), Sebastian Kehl and Kevin Grosskreutz - hard working midfielders who could (and did) shut down Aaron Ramsey, Mikel Arteta and Jack Wilshere, while at the same time offering added support to their fullbacks in dealing with Alexis Sanchez and Mesut Ozil. Second, and more important, was the change of the attacking players. Up till now, new striker Adrian Ramos has been one of their best performers, but being that he is a target man and lacks a bit of pace, he would not be able to effectively expose BFG the way Klopp needed, so he opted for Italian international and fellow new kid on the block Ciro Immobile instead. Immobile would parter Pierre-Emerick Aubameyang up top, and if you failed to realize just how much of a speed demon the the Gabonese striker is, you were reminded all evening. Henrikh Mkhitaryan slotted behind the forward pair and ahead of the midfield trio, and hey would be key. While the Armenian international would spend most of his time threatening central areas and trying to draw out one of our center-backs or exposing Arteta, Immobile and PEA routinely found space in behind Kieran Gibbs and youngster Hector Bellerin. Once space was found, they were left with the freedom of choice to continue their runs out wide, or make a diagonal run; 90% of the time they opted for the diagonal run, and who can blame them. The average person may blame Gibbs and Bellerin, but is that wise? They did not go about their business because they wanted to, they did so because they were instructed to by Wenger. Why were they instructed to? Because these are the same instructions given each and every week, against each side we play, regardless if we are at the Emirates or away. All that this means, is that far too many managers know how to play against us to exploit our weaknesses, while we make zero efforts to counter our opponents weaknesses in similar fashion - we're just far too busy playing the same football week in and week out, and somehow people are still shocked that we get trounced by any side that has a quality manager and good talent on the pitch. The hardest truth to take away from Tuesday was not that we got obliterated, it's that it has happened so many times before, and that it will certainly happen again. If you think back to last season when we were thrashed by City, Chelsea and Liverpool, you'll remember that they all killed us in the same way, and targeted the same exposed areas. This is nothing knew, and what grinds my gears about it all is that it is one-hundred percent avoidable. Many will always claim that Arsene Wenger is a genius, an innovator and one of the best managers in the world, but it is neither genius nor innovative to continuously make the same mistakes. This it not a Wenger hate blog, it must be said that such pragmatism in a manager is unacceptable. So yes Arsene, there is value in knowing your enemy. And while it can be seen as commendable that you continuously put faith in the way you do things, go back in time and ask the Romans how that worked out for them near a little unknown village in the south east of Italy. PANIC STATIONS, PEOPLE! Okay, maybe not. Calm down. The Gunners will hope that the trip to face a club that was predicted to finish in the league's bottom half will get the internal combustion engine working again, though Villa are in fine form, having won 1-0 at Anfield last weekend. Arsenal's performance in Germany on Tuesday made it painfully clear that some changes need to be made, either to the personnel or the formation or, ideally, both, to get back to winning ways. There were enough positives to take out of last week's draw with the champions for me to be convinced that all is not lost; if you've watched Arsenal over the past five seasons or so, you know this kind of spell has frustratingly become part and parcel. There's simply too much individual talent on this team for this to be a long term problem. As I often say, you can only win games one at a time, so it's time to put Tuesday's failures aside and focus on getting out of Villa Park with all three points. Good news: as of writing this, it does not appear that anybody else has joined the "long term injury list." Bad news: Jack Wilshere, one of the midfield's few bright spots this season, will likely be a doubt after rolling his ankle on Tuesday. Jack says he expects it to be fine, but Jack always says that and then misses several months. There may be some doubts about other players who did not make the bench midweek, like Nacho Monreal, Mathieu Flamini, and Yaya Sanogo. Flamini had a muscular problem, but even on Tuesday it was said he would likely be fine for the weekend. I still don't know what the issue was with Monreal and Sanogo, though I've heard it was a back injury and hamstring injury, respectively. An unavailable Jack Wilshere might force Arsene Wenger to, oh, I don't know, return to the 4-2-3-1 formation that has worked in the past. Watching this new 4-1-4-1 has been like trying to jam square pegs into round holes. If it's designed to get the best out of the available talent (which is the approach you should take to select a formation, in my opinion,) then it isn't working. Personally, I'd like to see some rotation, get some guys in that could use a start, like Alex Oxlade-Chamberlain, Santi Cazorla, or Tomas Rosicky. Predicted XI: Szczesny, Chambers, Koscielny, Mertesacker, Gibbs, Flamini, Ramsey, Ozil, Oxlade-Chamberlain, Alexis, Welbeck. That's probably way off. and has five in his last five against the Gunners. Aston Villa captain and Dutch penalty misser Ron Vlaar is expected to remain out with a calf injury; Vlaar has not played since before the international break. Christian Benteke completed his first week of full training on his way back from a ruptured Achilles, but will not have the match fitness to feature this weekend. Libor Kozak remains out after breaking his leg in training in January. Nathan Baker will continue to deputize at center back in place of Vlaar; he's partnered with ex-Arsenal Philippe Senderos. With no changes to the injury list, I would not expect Paul Lambert to make any changes to the XI that won at Liverpool last week. This means a 4-5-1 formation, including Tom Cleverley, purchased from Manchester United on deadline day. Alternatively, Lambert may start Carlos Sanchez, purchased for £4.7 million this summer, in midfield. Gabriel Agbonlahor will likely start up top, though Villa will have Darren Bent, always a threat against Arsenal, on the bench. Predicted XI: Guzan, Hutton, Baker, Senderos, Cissokho, Weimann, Cleverley, Westwood, Delph, Richardson, Agbonlahor. The tone of Arsenal's form has changed dramatically lately. After the draw with City, the opinion was largely, though not entirely, one of "well, they're still undefeated on the season." Now that that is no longer true, it feels more like Arsenal is staring down the barrel of a gun, because nothing among Arsenal supporters is done in moderation. Arsenal now have just one win in their last six across all competitions. Aside from the Community Shield, both of Arsenal's victories have been, for lack of a better word, uncomfortable. It took 91 minutes to beat Crystal Palace and the 1-0 over Besiktas was marked by hanging on for dear life at the end. Arsenal have not won outside of London since the final day of the Premier League season last year, at Norwich. It should be noted, though, that Arsenal are one of three teams that are still unbeaten in the league; Aston Villa is one of the other two. Villa have three wins from four, beating Stoke at the Britannia on opening day, drawing Newcastle 0-0 at home, beating Hull City 2-1 at home, and last week winning 1-0 at Liverpool. The Villans have now picked up at least a point in each of their last four visits to Anfield. Villa's 10 points from their opening four matches marks their best start to a season in 16 years. Astonishingly, Villa have picked up those 10 points by scoring just four goals with a total of just six shots on target in their four matches. 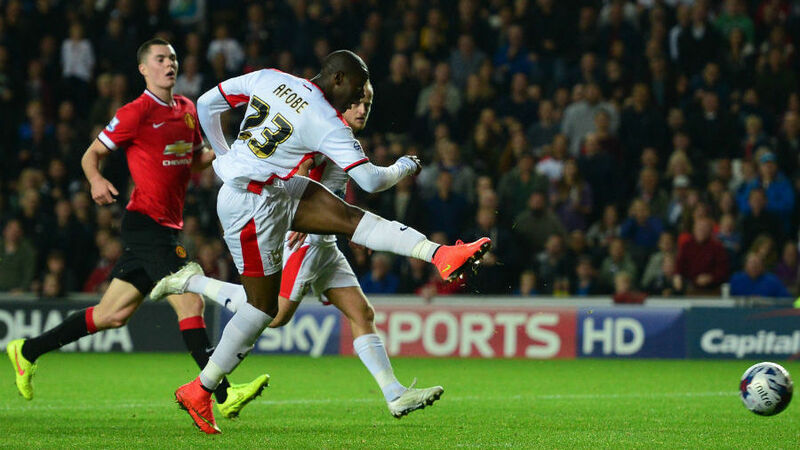 On the other hand, Villa have lost in the League Cup, dropping a 1-0 match to Leyton Orient at home. Remember what being happy was like? 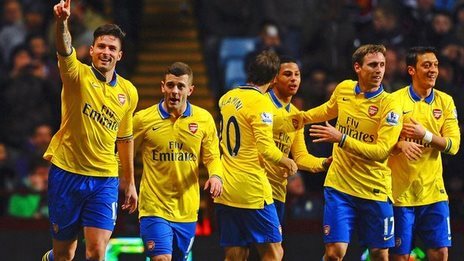 Arsenal have not lost in their last 15 matches at Villa Park, winning eight and drawing seven. Last year, Arsenal jumped out to a 2-0 first half lead, with Jack Wilshere and Olivier Giroud scoring a minute apart. Arsenal should have been out of sight, but after Christian Benteke pulled a goal back in the 76th minute, things got nervy because it was Arsenal after all. Villa's last win over Arsenal at home came in December of 1998; Arsenal led that match 2-0 at halftime and lost 3-2. As alluded to above, that 1998/99 season was the last time Villa started a season as well as they have this season. At the time of that win, the Villans were top of the league. They remained top as late as December 28. In the spring, however, Aston Villa went winless over a 10 match span; the club fell to 6th. The Villans have just three wins in their last 21 matches against Arsenal overall; of course, one of those wins came in the season opener last year. The less said about that match, the better. He looks a little like Sting, right? The referee is Chester-based Mike Jones. Arsenal have a strong record with Jones as the referee, winning 11, losing two, and drawing one against a parked Manchester City bus in January of 2011. 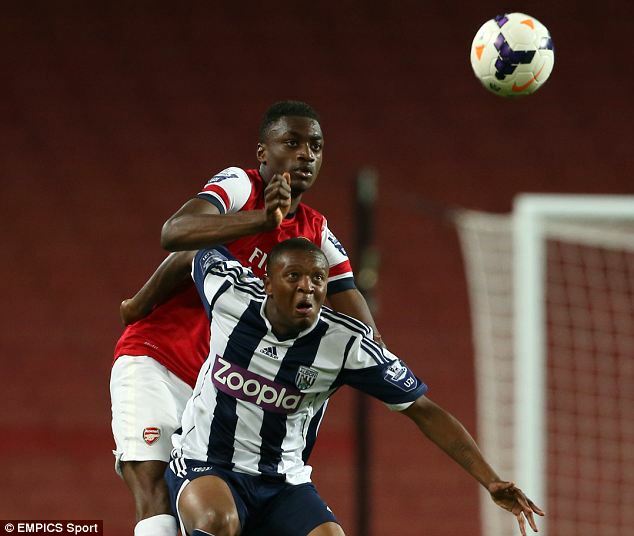 The Gunners split two matches with Jones as the referee last season, losing 1-0 at Stoke to a debatable penalty, then winning 1-0 over West Brom late in the season when the result was academic for both sides. Aston Villa had Jones twice last season as well, though the Villans won both. They defeated Manchester City in a surprise at Villa Park last September and later won 1-0 at the Stadium of Light against Sunderland on New Year's Day. Jones has worked two Premier League matches this season, both bonkers draws: the opening day 2-2 between Leicester and Everton and the 3-3 between Newcastle and Crystal Palace. Last week, Jones worked in the Championship, as an 18th minute red card doomed League One-bound Fulham to a 3-0 defeat at Reading.